Psychology is everywhere. Our emotions and desires, the decisions we make on a daily basis - absolutely every aspect of the way we think and feel has been studied by psychologists. 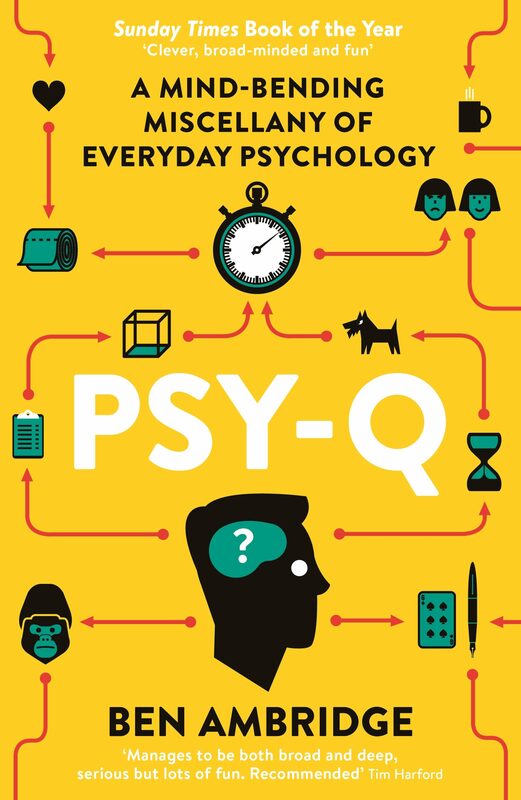 Through dozens of interactive puzzles, IQ tests, quizzes, jokes, puns and visual illusions, Ben Ambridge guides us through this wealth of research, showing us how we can better understand ourselves. Debunking tabloid speculation, revisiting old favourites such as the Stanford Prison Experiment and unearthing bleeding edge research unknown to the general reader, renowned psychologist Ben Ambridge blows away the received wisdom to reveal to enthusiasts and novices alike the psychology behind our daily lives. With wit and humour aplenty, he explains whether your blue eyes make you more or less trustworthy, how analogies can help cure cancer, whether Rorschach's famous inkblot tests really work, what your love for heavy metal (or Mozart) says about you, how psychology could help solve the obesity crisis and countless other revealing, entertaining and downright astonishing tests of your Psy-Q. Visit Ben's accompanying website, http://benambridge.wordpress.com/, and test yourself - and your friends.